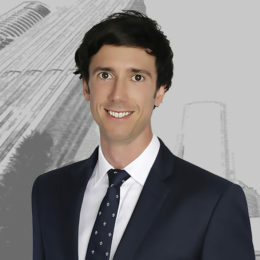 I specialise in planning and environment litigation within the Planning and Environment Group at Thynne + Macartney. I believe in fighting hard for our clients and providing accurate and timely advice to achieve practical solutions. I specialise in all matters before the Planning and Environment Court (and the Magistrates Court and Land Court where appropriate) including appeals, enforcement proceedings, declaratory proceedings, prosecutions and dispute resolution. My experience involves acting for a wide variety of local government authorities and private sector clients with respect to all forms of development from residential to larger commercial and industrial development. I am also experienced in compulsory acquisition and compensation matters and technical advice work. I hold a Bachelor of Laws from Queensland University of Technology, a Bachelor of Electronic Commerce (Major in Accounting) from the University of Queensland and a Graduate Diploma of Legal Practice from the College of Law. I was admitted as a solicitor of the Supreme Court of Queensland in January 2011. I am a member of the Planning and Environment Law Committee of the Queensland Law Society and a member of the Queensland Environmental Law Association.